The Criminal team is headed by Andrew Holland, Partner and Solicitor Advocate, assisted by Solicitor Lisa Morris-Jones. Andrew Holland has over 25 years of experience in representing clients in criminal investigations and proceedings from Police station representation to Magistrates Court right through to the Court of Appeal. Andrew has a particular expertise in motoring law and has written articles for leading motor club magazines. He travels nationwide representing clients and prides himself in providing first-class advice and client care. 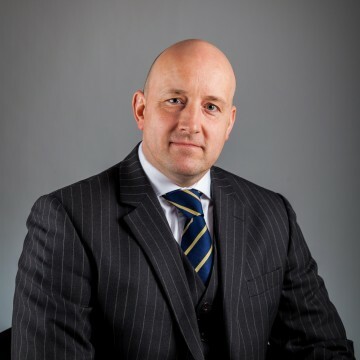 Andrew is also highly experienced in Military Law and represents military personnel in Military criminal investigations and provides bespoke representation before Court Martials. 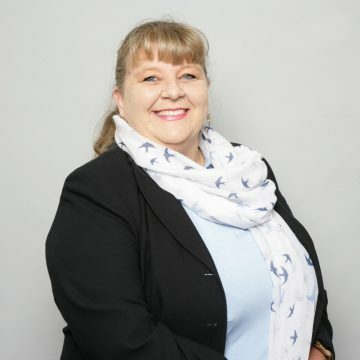 Lisa Morris-Jones has over 25 years’ experience in representing clients who are under investigation at the police station or who have been charged with a criminal offence. She brings to the criminal team a wealth of experience and aptitude in dealing with a wide range of offences and appears daily in the Magistrate’s Court to defend our clients. Our Criminal Law specialists have represented thousands of clients in Magistrates Court hearings for summary driving offences. Such offences include drink or drug driving, failing to provide a specimen of breath blood or urine for analysis, or being in charge of a motor vehicle whilst under the influence of drink or drugs or careless driving. Less serious offences could be using a motorcycle without protective headgear, using a vehicle with no seatbelt or other similar construction and other offences relating to motor vehicles. A full legal analysis of your situation and advice on the sentencing options that are available to the court. We will provide representation at a single court hearing whether that be a local court to ourselves or travel to a court further afield. The steps and timescales set out below are those which apply to a matter that does not have particular complications. If your matter does have such complications, we will always inform you immediately and will discuss the potential consequences both in respect of the chances of success and the potential costs. It is important that you contact us as soon as you know you have a Court hearing or know you are going to be prosecuted. We are able to request from the prosecution a written copy of the case papers. These documents are usually available to the defence before the actual hearing date. The sooner we are able to make a request the better chance we have of the prosecution sending the case papers to us in time for your hearing. We have no control as to when the prosecution will have the case papers ready to send to and it is not uncommon for case papers to be served on us the day before the hearing. That is why we urge clients to make contact with us as soon as possible in order to give the Prosecution as much notice as possible that we are representing you and require sight of the case papers in order to advise you properly. You may only be given a few weeks’ notice of a Court hearing so you must act fast in order to be ready and prepared for your Court hearing. Our charges are based on an hourly rate for the time spent on the matter. However, for a single hearing Magistrates case we are able to provide you with a fixed fee, giving you certainly on what your legal fees will be. Our fees start at £500 (plus VAT of £100) for a single Magistrate Court hearing at our local Magistrates Court at Telford involving a less complex area of law (e.g. using a vehicle with no seatbelt or driving whilst on a mobile phone) up to a maximum of £3000 (plus VAT of £600) for matter which is more complicated and involves a greater consequence for you (e.g. a high level reading drink drive or drug drive matter which could carry an immediate prison sentence). Our fee for representation for a low-level drink drive/ drug drive case listed in our local Magistrates Court in Telford would on average be £650 (plus VAT of £130). Travel expenses are claimed at 45p per mile. It is a 32 miles round trip to Telford Court from our offices. Parking fees are usually £4 at Telford Magistrates Court. Some cases are more complex than others. Courts deal with each case on a case by case basis. For example – If you have a case involving a high-level reading of alcohol this is treated more seriously by the Courts than a reading which is only just over the legal limit. Are there any aggravating factors to your case making it more complex? Such examples could be: have you committed this offence or a similar offence in the past? Are there any other offences committed at the same time such as was your car uninsured when you committed a drink drive offence? Were you involved in an accident? Was someone injured in that accident? The fees indicated above do not include instructing an expert witness (if such an expert was required), the taking of statements from witnesses, advice or assistance in relation to any appeal proceedings of advice and assistance in relation to any special reasons or other contested Court hearing.